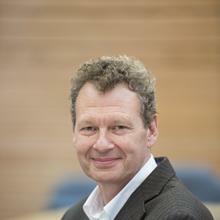 Tim Elliott, Professor of Experimental Oncology at the University of Southampton, discusses advances in diagnosis and treatment of cancer ahead of the fourth of the University’s health and healthcare public lecture series taking place at the Wellcome Collection, London on 5 October 2016. More and more people are beating cancer – in the UK cancer survival has doubled over the past 40 years. This is extremely positive and something we should be proud of. Still, however, every two minutes someone is diagnosed with cancer and this is a statistic we should remedy. Need to do something about. Our risk of developing cancer increases with age as well as factors linked to lifestyle such as obesity. So as the population ages and obesity increases, the number of people being diagnosed will continue to rise. There is some good news – the way we diagnose and treat patients has changed dramatically over the past ten years, which is saving more lives. This is down to the research we are doing and the speed at which the results from this research are being used in the clinic. Research is more vital than ever as more of us are being diagnosed with cancer. Because of research, the survival rate for women with breast cancer has risen by about a quarter since the early 1990s and today almost all men with testicular cancer can be cured of the disease, whether it is a small lump in the testicle, or has spread to other parts of the body. Research has shown that more than four in 10 cancers could be prevented by making changes in our lives such as not smoking, eating healthier diets, drinking less alcohol and keeping a healthy weight. Among these, smoking is undoubtedly the most important linked to cancer – it causes 23 percent of cancers in men and over 16 percent in women. Research will help us win the fight against cancer. At Southampton, we are proud to conduct a wide range of research in to cancer prevention, cure and life after treatment. Our ground-breaking CREW (ColoREctal Wellbeing) study, which has recruited more than 1,000 patients from across the UK is has mapped out the path of recovery over time, and looked at how long it takes to feel healthy and well again after cancer. Our results are already helping inform and change policy about services available to people after being treated for cancer. Next year we will opening the UK’s first centre, dedicated to cancer immunology research. Cancer immunology is an exciting area of cancer research and one that is expanding at a fast pace. 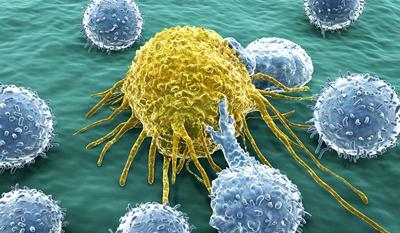 Using the body’s own immune system we are now able to find and kill cancer cells that for years, have evaded us. Clinical trial results show that 20 percent of participants are living cancer free. For the first time, difficult to treat cancers such as lung cancer are responding to immunotherapy; and its effects seem to be longer-lasting than conventional therapies thanks to immunological memory which protects against relapse. 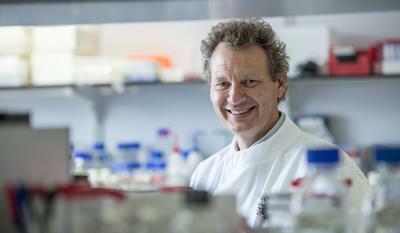 We need more research to figure out why some patients respond well and others do not, so that we can devise variations of immunotherapy that are more specifically tailored to each individual diagnosis; and to find out how we can minimise adverse side effects of these treatments in some people. Two of the hardest to treat cancers are oesophageal and pancreatic cancers, where survival remains low. The problem with these cancers is that diagnosis is often made too late. Symptoms only start to appear when the cancer has become too aggressive and spread. We need to find out how to treat these cancers earlier. By investigating very early forms of oesophageal cancer, we are finding ways of early detection which combined with novel immunotherapy could significantly reduce the number of people dying from this disease. Research is the key to fighting the disease – over the next 20 years I am confident that we will make even more startling discoveries in the lab that we can rapidly apply to diagnoses and treatments which together will reduce suffering caused by cancer.